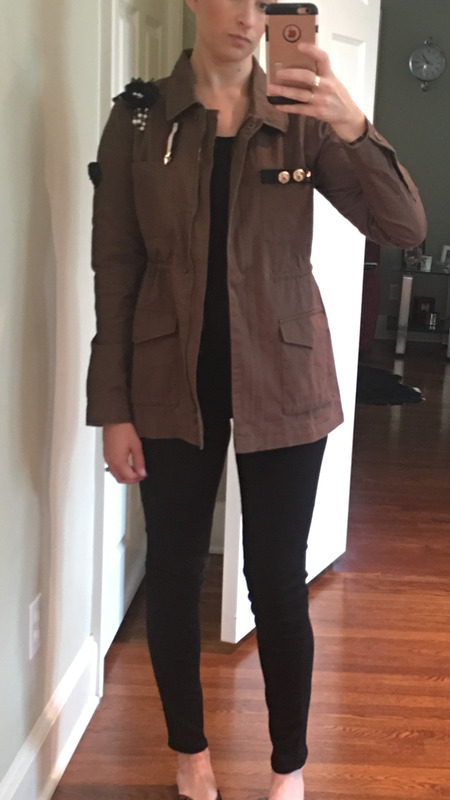 Lightweight utilitarian jacket with military inspiration is perfect for a transition into Fall weather. Pair over a dress, skinny jeans, or even on your way to a work out class for some style. With fun flair on the jacket, this adds some feminine qualities to soften the often severe look of military inspired clothing.